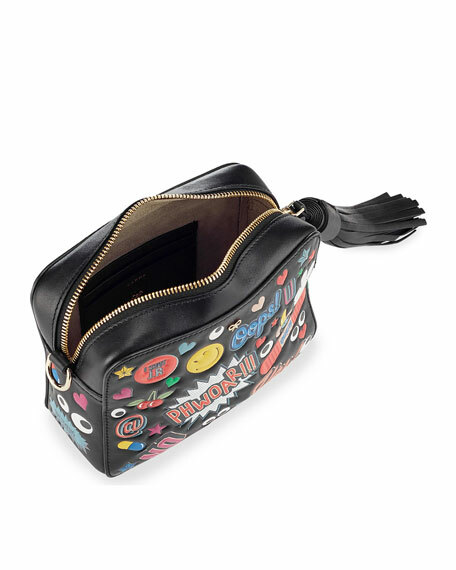 Any Hindmarch leather crossbody with all over "wink" sticker-effect appliques. Golden chain shoulder strap; 25" drop. Signature bow detail at top center. 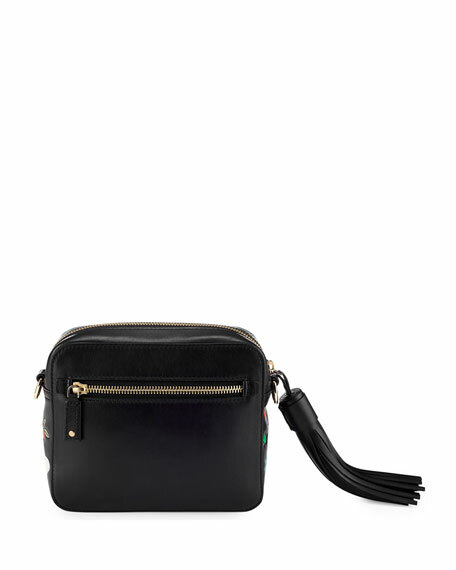 Zip-top closure with oversized tassel pull. Suede lining; three card slots. 5.9"H x 7.1"W x 2.6"D.
For in-store inquiries, use sku #1654568.